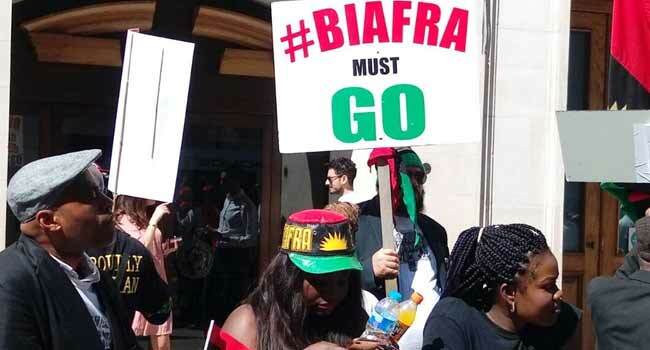 Biafra supporters stage a protest in front of the Commonwealth House in London on April 19, 2018. 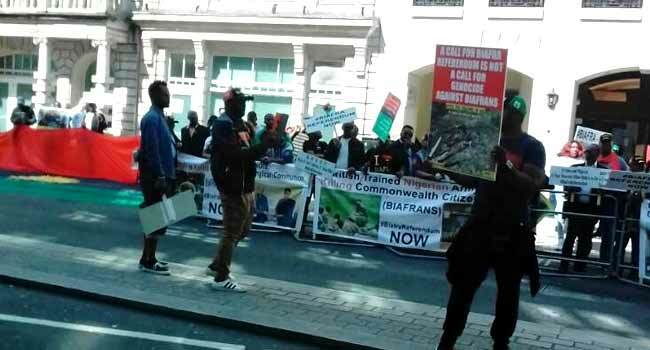 A group of people bearing Biafran flags are staging a protest in front of the Commonwealth House in Westminister, London. 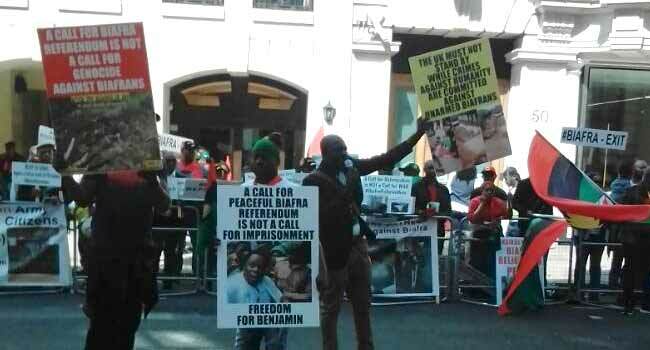 The demonstration is taking place as President Muhammadu Buhari and other leaders of the Commonwealth nations meet on Thursday. Discussions began shortly after Queen Elizabeth II formally declared the Commonwealth Heads of Government Meeting (CHOGM 2018) open. 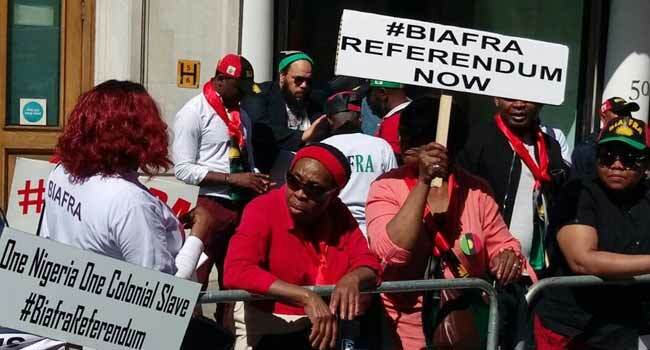 Some of the protesters are carrying banners bear inscriptions of Biafra while others are calling for a referendum.